​Huddersfield Town face Everton in the Premier League at the John Smith's Stadium on Tuesday, with both sides looking to get back to winning ways following defeats. The Terriers will be playing their first game under newly-appointed manager Jan Siewert and are in desperate need of a victory having gone ten games without a win in the league - a run which has seen them plummet to the bottom of the division. Having not played at the weekend due to their early exit from the FA Cup, the West Yorkshire-based club could benefit from having more time to adapt to their new boss ideas and tactics. Everton, who are currently 11th in the Premier League, will be hoping to secure a third victory of the month having struggled for consistency this season. Following their shock ​3-2 defeat to Millwall in the fourth round of the FA Cup, manager Marco Silva will be expecting a response from his players when they head to Huddersfield. By securing all three points at the John Smith's Stadium, the Toffees could move up to as high as seventh in the league standings, if other results go their way. With the result of Tuesday's fixture sure to have an impact on the seasons of both team's, it promises to be a gripping affair. Huddersfield will be without creative midfielder Aaron Mooy for Tuesday's fixture as he continues his rehabilitation from a knee injury suffered in December, while Danny Williams and Abdelhamid Sabiri are also expected to miss out. With boss Siewert looking to stamp down his authority on the team, the likes of Steve Mounie, Laurent Depoitre and Tommy Smith could all be given a chance to prove themselves against Everton. January signing Jason Puncheon is expected to make his third appearance for the club having joined on loan from ​Crystal Palace earlier this month. Everton have the luxury of being able to select all of their first team players with none of the current squad suffering from injuries or suspensions. Silva is likely to make several alterations from his side's defeat at Millwall with Kurt Zouma and Theo Walcott both pushing for a start. ​Richarlison could resume his role upfront for the Toffees having featured as a winger on Saturday whilst Cenk Tosun has also entered the fray following his goal at the weekend. ​Everton ​Pickford; Digne, Zouma, Keane, Coleman; Bernard, Gomes, Gueye, Sigurdsson, Walcott; Richarlison. Huddersfield and Everton have met on 62 occasions with the Terriers winning 21 of their meetings and the Toffees being victorious 26 times. The two sides played out a 1-1 draw earlier on this season at Goodison Park as goals from Dominic Calvert-Lewin and Phillip Billing ensured that both sides would share the points. A win on Tuesday for Huddersfield would remarkably be their first over Everton since 1956. Huddersfield's dismal season has seen them pick up just two victories in the Premier League with their last success coming in November against Wolverhampton Wanderers. Currently on a run of eleven games without a win in all competitions, the Terriers were comfortably beaten 3-0 last week by a Manchester City side who rarely got out of second-gear at the John Smith's Stadium. Yet with a new manager in charge, they may fancy their chances against an Everton side who are lacking consistency this season. The Toffees have been experiencing a mixed run of results in recent weeks, winning two but also losing three of their last five in all competitions. Saturday's 3-2 defeat to ​Millwall in the FA Cup has placed further pressure on boss Marco Silva who has yet to live to up to expectations despite spending heavily in the summer. With both sides desperately in need of a positive results following their recent defeats, Tuesday's game could prove to be crucial in terms of gaining momentum for the rest of the season. As Huddersfield now have a new manager in charge, their players will be hoping to prove a point and may even take the game to an Everton side which has been vulnerable defensively this season. However, giving the fact that the Terriers have only scored thirteen goals this season, it is unlikely that this fixture will be a high scoring affair. 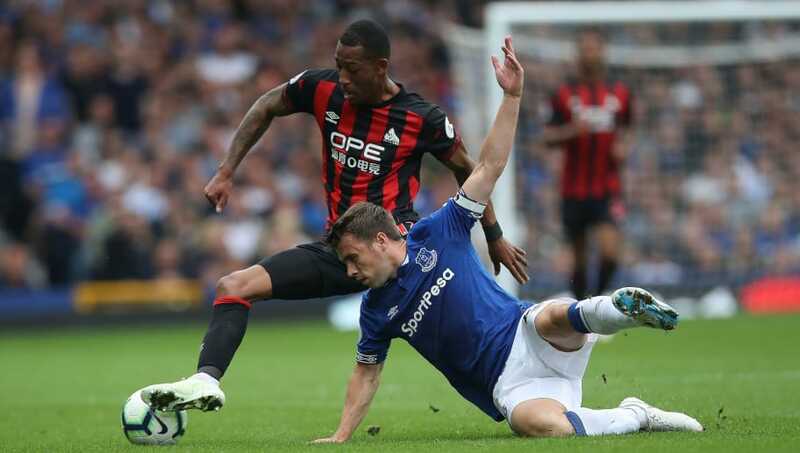 Another defeat for Everton would place even more pressure on Silva yet given their recent record over their opponents, it would be a surprise if they don't issue a much-needed response to their critics on Tuesday. With an historical advantage over Huddersfield and a squad brimming with talent, the Toffees should nick a victory and take all three points back to Merseyside.